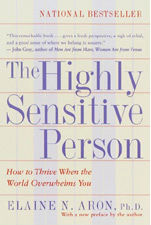 Elaine Aron’s book, The Highly Sensitive Person (originally published in 1996), taught that being highly sensitive is a normal, neutral characteristic. The Highly Sensitive Person gave people with this personality trait tips on how to reframe the stereotypes that society has given them and overcome the labels “shy” or “introverted”; it taught them how to manage themselves in overly stimulating situations and to use their sensitivity as a tool to enhance performance in all areas of life. Both those who consider themselves highly sensitive, a group that makes up 15-20 percent of the population, as well as those who have HSPs in their lives, responded by making The Highly Sensitive Person a bestseller, published in 17 languages, with almost a million copies in print. They also asked Dr. Aron, through letters and emails, to give them more exercises to learn how to relish their sensitivity and use it to their advantage. So Elaine Aron has now compiled The Highly Sensitive Person’s Workbook – a practical guide for HSPs and HSP support groups. The Highly Sensitive Person’s Workbook is made up of some of the exercises cut from Aron’s original book, but it is mostly new exercises essential to integrate the positive self-image that comes with embracing one’s sensitivity. Therefore, while The Highly Sensitive Person defined the innate temperament trait and gave examples of HSPs who have successfully learned to reframe their lives in light of the trait, The Highly Sensitive Person’s Workbook is all about the reader, giving each HSP a chance to explore (and write down) memories, strengths, troubles, challenges, and new insights about this trait. Because it is about a fundamental difference in how the nervous system works, it affects every area of life, and every area of life is explored by the workbook – career, relationships, health, and inner life. 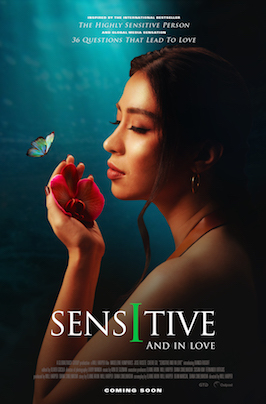 Beginning with the premise that all highly sensitive persons should thoroughly get to know their sensitivity, Aron uses self-assessment tests and specific questions about life events to help readers identify their particular issues around sensitivity. The emphasis is on self-exploration and helping all readers define the HSP trait for themselves – and that includes overcoming “mislabeling” of sensitivity and learning how to respond and defend this unique trait. By rethinking past events, especially those deemed “failures,” and by working to heal past traumas, HSPs can learn to live healthier lives, both physically and emotionally. The Highly Sensitive Person’s Workbook also focuses on specific self-care issues. Aron explains, “If we try to live by the same operating instructions that others use, we develop all kinds of chronic illnesses, as so many of you have learned the hard way. Yet if we overprotect ourselves, our assets go unexpressed, and that can also lead to stress and illness.” Because of this, she leads readers through exercises and journaling that will help them pinpoint their optimal level of arousal and live within it, as well as take the appropriate steps to get the “down time” and rest that all HSPs need. Finally, Aron teaches readers how to integrate their heightened sensitivity with specific aspects of life: social life in general, close relationships, vocation and workplace, relations with health-care professionals, and inner or spiritual life. 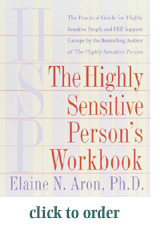 The Highly Sensitive Person’s Workbook is a tool for use by either individuals or groups. All exercises are marked A, B, or C in order to indicate the types of groups that will be most comfortable with each task: A’s are those for the early stages of a pairing or group, B’s are for well-established relationships, and C’s are ideal for the advanced group or pairing when all participants are comfortable opening up about highly personal issues. Additionally, Chapter 11 offers guidelines for HSP support or discussion groups; a six-week plan for member-directed support groups will give the structure and support needed to help this type of discussion circle flourish. Relaxation, breathing, and visualization techniques help HSPs deal with overarousal; “script-writing” sections prepare readers for difficult conversations; explorations of self-criticisms heal self-esteem; and dream interpretation exercises allow HSPs to take advantage of their heightened creativity and complex inner life. Dr. Aron’s approach is always gentle, encouraging, and open to the individual’s revision. “You can just read this workbook, without doing any of the tasks…. Or you can do all of them, in order. Or out of order. Or do the ones that appeal to you, in any order.” However, she advises, “whatever you do, you try to do it consciously.” In this manner, HSPs like Dr. Aron will be well on the path to discovering their full potential within society, and the fullest offerings society has for them.